Despite the legality of medical marijuana in California and the legality for recreational use in a few other states and decriminalization in 22 others, it is still illegal to possess marijuana pursuant to federal law. Opponents of medical marijuana progress are fighting to enforce these old laws. 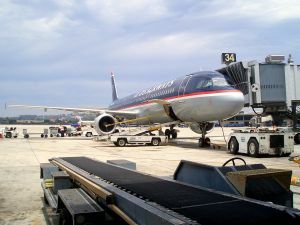 According to a recent news article from ABC7 News, baggage handlers at the Oakland airport have recently been arrested and charged with crimes involving the smuggling of marijuana. Authorities say they have arrested three defendants who were working as baggage handlers at the Oakland International Airport on accusations they were attempting to smuggle large quantities of marijuana. Additionally, 11 other defendants who they arrested as part of what they claim to be large conspiracy to subvert the drug laws of the United States. Specifically, prosecutors from the United State’s Attorney’s Office say the three baggage handlers used their security credentials to get through TSA screeners while carrying large suitcases allegedly filled with marijuana. It is then believed these men would hand the luggage to passengers waiting to board their flights, and carry the bags as carry-ons to their destination airports across the nation. Prosecutors believe this criminal enterprise was allegedly in operation as early as 2012, and large quantities of marijuana were smuggled to various cities as part of the illicit operation. The three baggage handlers have been charged with conspiracy to distribute and possession with intent to distribute more than 100 kilograms of marijuana. These charges are considered serious federal offenses and a conviction could result in a significant amount of time in a United States Penitentiary (USP) or other United States Bureau of Prisons facility such as Federal Correctional Institution (FCI). As our Los Angeles marijuana charges defense attorneys can explain, federal drug charges are a very serious matter. Unlike the case with state charges, the U.S. Attorney’s Office generally does not file criminal charges unless they are fairly certain they can obtain a conviction. With state charges, the local district attorney’s office doesn’t always have much choice in whether to prosecute an alleged offense. While they could always choose to do nothing, there is no other organization besides the U.S. Attorney’s Office who will prosecute the suspects if they decline to do so. This does not always look good to the general public, so there is often internal and external pressure to file charges and continue with a full prosecution. On the other hand, federal prosecutors will not generally file charges if they have any concerns about securing a conviction (aside from terrorism) and will transfer the case to state prosecutors who really do not have any choice but to prosecute. If you have been charged with a serious crime involving possession or distribution of marijuana, it is essential to speak with an experienced attorney who routinely handles cases involving marijuana. Your experienced attorney will have an extensive knowledge of the legal issues and potential defenses surrounding these charges and will put you in the best position to have the most successful outcome possible within the confines of the situation.